Jim Mayer was born in Capreol on October 30, 1954. Jim's hockey career began with Michigan Tech of the NCAA in 1972 where he played there until 1976. Also playing in the SHL, NAHL, AHL, WHA and CHL. 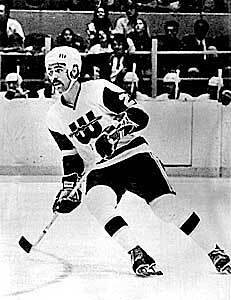 In the 1977-78 season Jim played with the New England Whalers of the WHA. In 1974 he was drafted number 239 overall by the New York Rangers. The 1979-80 season saw Jim strap them on for the New York Rangers of the NHL.